We offer two locations for our customers to chose from. We are located in downtown Alpena and inside the Alpena Mall. Both locations offer the same full menu. Cabin Creek Coffee is a family owned and operated coffee house located in downtown Alpena, Michigan. Our full espresso bar serves cappuccinos, lattes, and mochas, specialty coffee, smoothies, blended iced coffees, chai, and hot chocolate. Breakfast sandwiches can be made to order at any time of day. We offer a full sandwich, salad and soup menu as well as individual flatbread pizzas, strata, and toasted pita sandwiches. Eat here in our relaxing atmosphere or have it delivered! Check out TODAY'S SPECIAL on the left! Fresh homemade baked goods such as cookies, biscotti, scones, and desserts are baked on-site by our own baker. Use our conference room to hold your next meeting or get-together. Looking for someone to cater your next event? Cabin Creek Coffee can provide sandwich trays, salads, kettles of soup, and dessert trays. Free Wi Fi is available for all customers to use. Surf the internet while you eat! 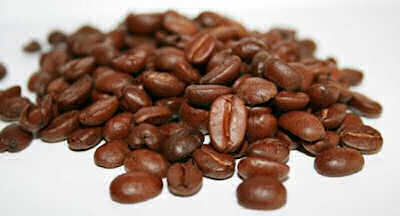 Need coffee beans to make coffee at home? We have over 20 blends and flavors to choose from! 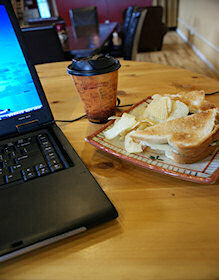 Copyright © 2010 Cabin Creek Coffee Alpena. All Rights Reserved. Designed by Insites Web Design.